White Fillings – A composite (white) filling is a tooth-colored material used to fill small cavities in teeth. These fillings match the color of tooth structure and are very attractive. They require the most minimal tooth preparation, so less healthy tooth structure is removed. 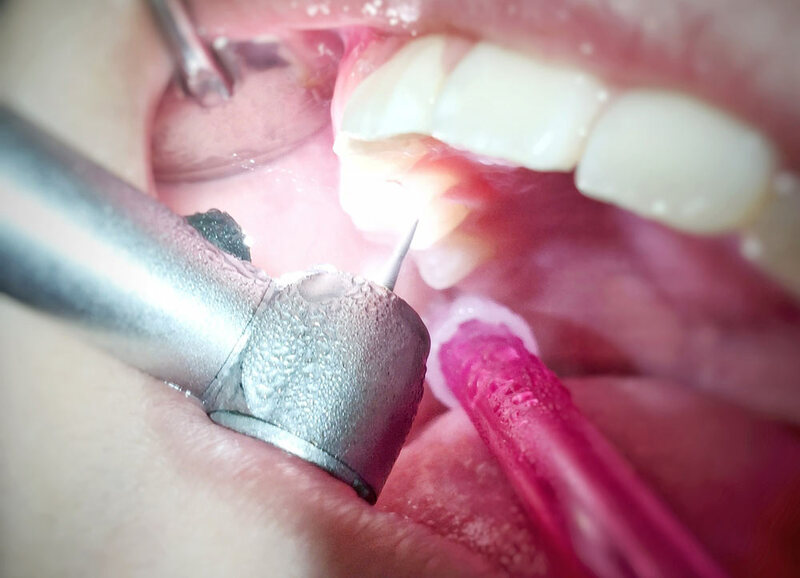 These fillings are the material of choice in this practice when the decayed tooth meets the proper criteria for their placement. These fillings do require more diligent home care (diet and hygiene, particularly flossing) than amalgam fillings (silver) or stainless steel crowns (silver caps). Silver (Amalgam) Fillings – These silver fillings are the long-standing restorative material that dentistry has relied on for many years. These fillings are quite durable and provide an excellent choice in restorative procedures. Stainless Steel Crowns – A silver crown covers the tooth completely and restores it to its original shape and size. Crowns are incredibly strong and provide the necessary protection for any baby tooth that needs root canal therapy. Additionally, when cavities cover more than one-third of the tooth structure or a patient is very young, the crown is the restorative material of choice. The disadvantages of this material are the silver color and the irritation these crowns sometimes cause around the gum line of the covered teeth. These are currently available in white. Pulpotomy – When decay reaches the nerve of a baby tooth, the infected portion of the nerve needs to be removed. This procedure is called a pulpotomy and is best described as a “mini” root canal treatment. This procedure is performed to help prevent the tooth from abscessing, which would require additional therapy or extraction of the tooth. This procedure is much quicker than root canal therapy performed on permanent teeth and will be completed during the same appointment: a stainless steel crown is placed on the tooth to achieve coronal seal, safeguard the mini or just root canal and protects remainder of the tooth structure.